Flight lessons. 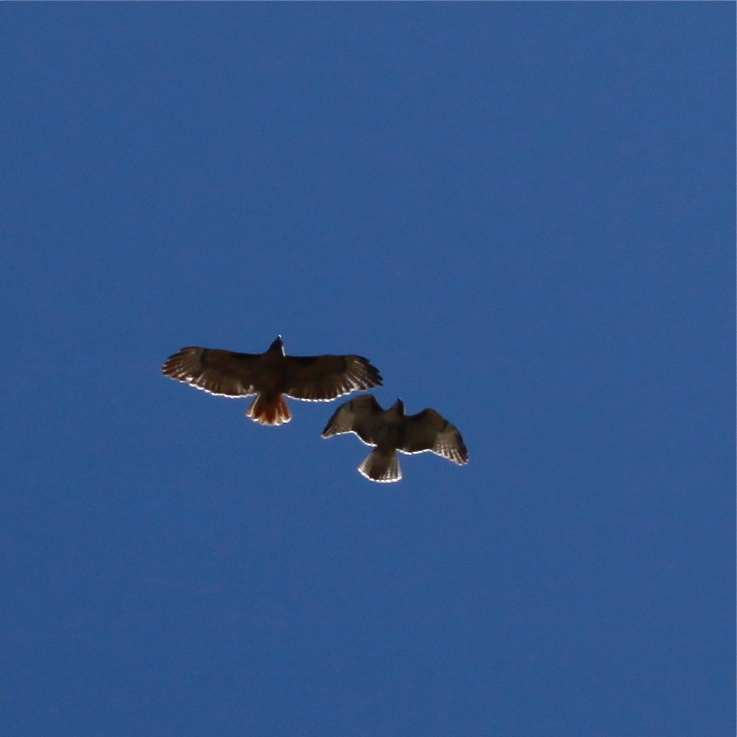 Earlier this morning, as I fed the temporary turtle some worms, I heard the screes of the three young redtails that were raised along the river at the mouth of Buck Canyon. 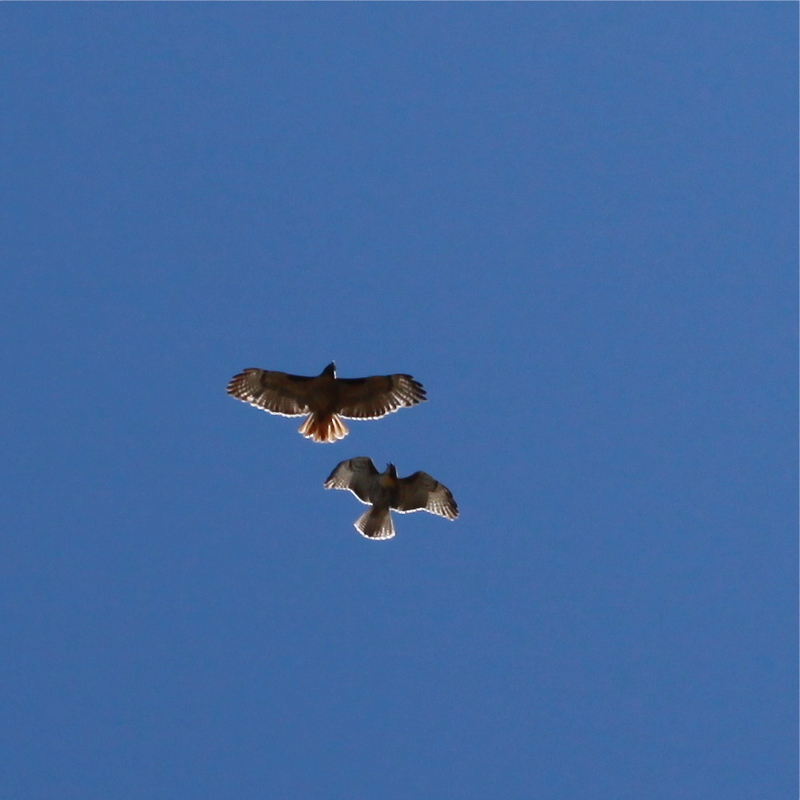 Cameraless, I simply watched with delight as all three circled low over me and Mirador, shrieking, soaring, flapping. About an hour later I heard the birds again. 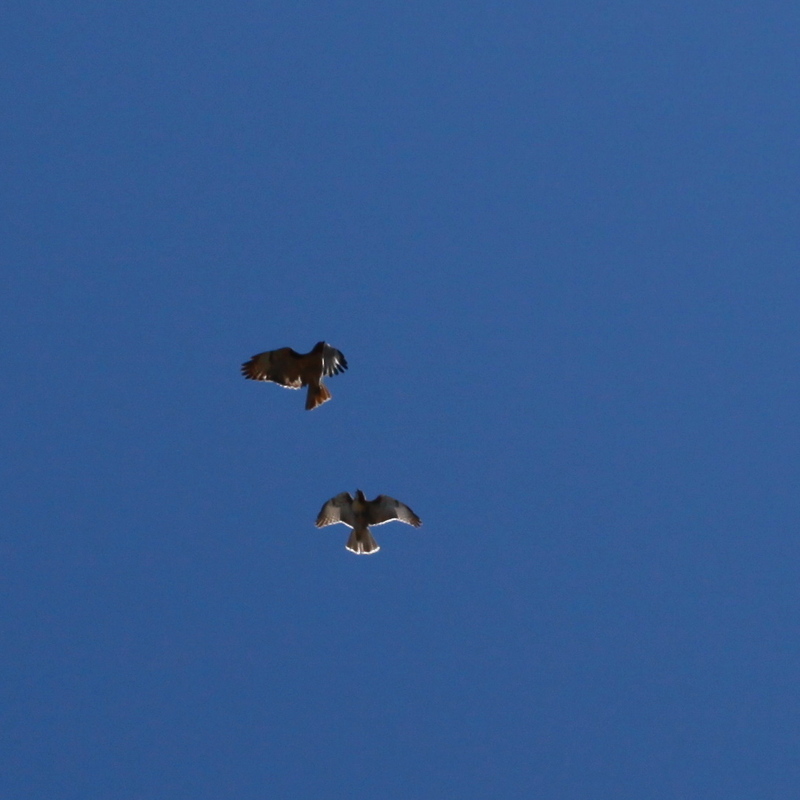 Again three circled and soared, farther up, but this time it was one adult and two juveniles, clearly enjoying their lives. 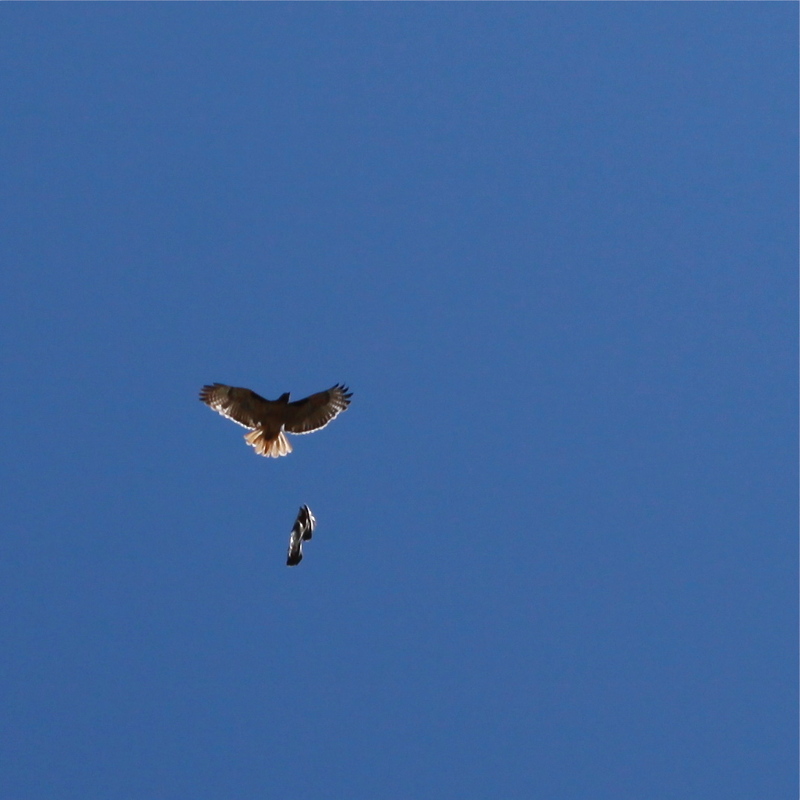 At the same time, Geoff was at Dr. Vincent’s picking up a young hawk that hadn’t quite learned how to make it on her own. Picked up from the roadside, emaciated and unable to move, she found her way to our raptor rehabber down the road. 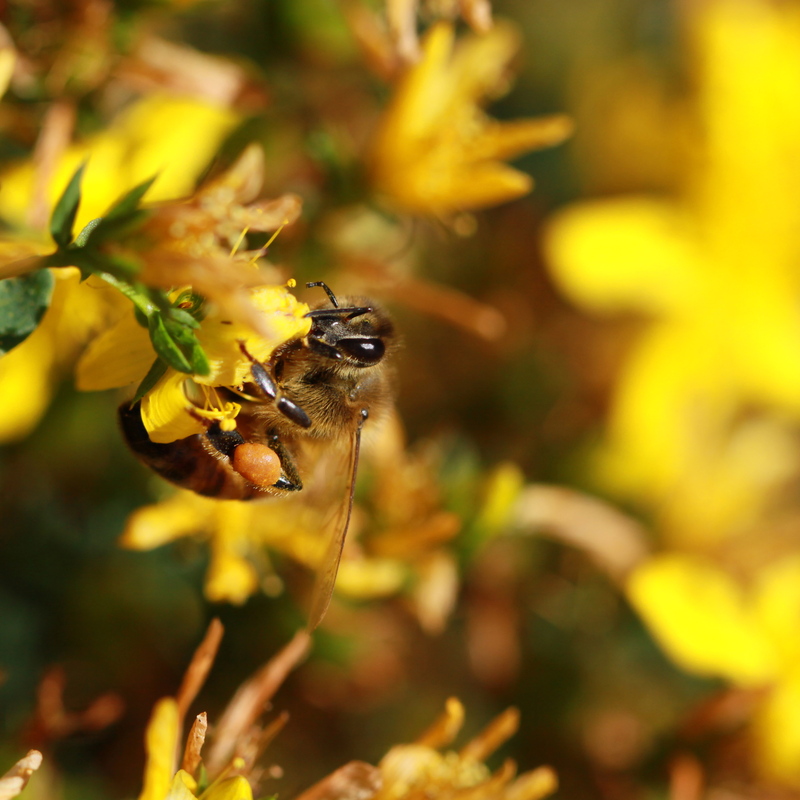 Peek-a-Bee on St. John’s Wort. After a beautiful sunny morning, the skies opened this afternoon, flooding the patio again, cooling the air, watering all with a full inch of rain.